NEW YORK -- Vaping held steady last year in high school students and declined in middle school kids, according to new government data, but some researchers are skeptical because the survey may have missed out on a booming e-cigarette brand. The Centers for Disease Control and Prevention (CDC) survey did not specifically ask about Juul e-cigarettes, and research suggests some kids don't equate the trendy devices with other types of e-cigarettes. Given that omission and the skyrocketing sales of Juul last year, the survey may be missing a big part of what's going on, said Jidong Huang, a Georgia State University researcher. E-cigarettes are battery-powered devices that provide users with aerosol puffs that typically contain nicotine, and sometimes flavorings like fruit, mint or chocolate. They're generally considered a less dangerous alternative to regular cigarettes, but health officials have warned nicotine is harmful to developing brains. The new CDC study is based on a questionnaire filled out annually by roughly 20,000 students in grades 6 through 12. The study focused on "current users" -- defined as kids who said they had used a tobacco product in the previous 30 days. Brian King, who oversees the CDC's tobacco survey work, said he believes the survey captures a sizable proportion of kids who are using Juul e-cigarettes, but he acknowledged there could be "some under-estimation." He said there are plans to add questions about Juul, but those likely won't appear until next year's survey. Similar plans are being made for an annual University of Michigan survey of adolescent tobacco use, said Richard Miech, who leads that study. Because kids currently aren't being asked about Juul specifically, researchers can't say for sure if vaping is increasing or decreasing, he said. Last year, Juul became the top-selling e-cigarette brand, with more than $650 million in retail sales. That's due at least partly to aggressive marketing through Instagram and other social media, Huang noted in a recent article in the journal Tobacco Control. "But looking at the sales data, I think it's hard to say the use of e-cigarettes among teens is steady or declining," he said. The U.S. Food and Drug Administration (FDA) has been targeting Juul. In April, the agency issued warnings to retailers about sales to children. 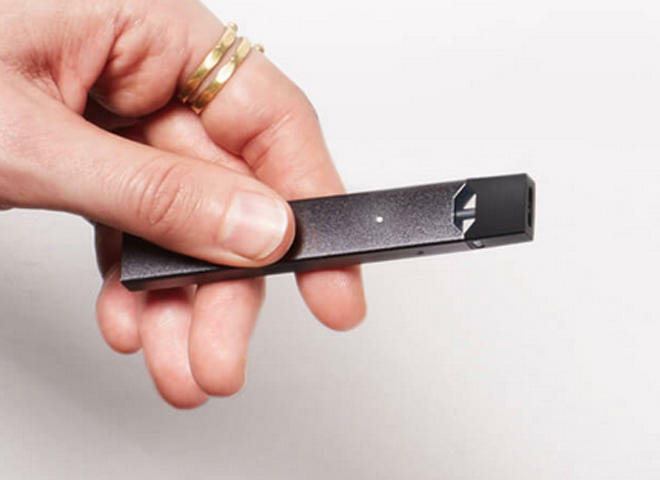 The FDA also asked the manufacturer, Juul Labs of San Francisco, to turn over documents about the devices' design and marketing. Juul Labs has said it's trying to combat teen use of its products. Company officials this week said they are launching a new ad campaign aimed at answering parents' questions about the devices.